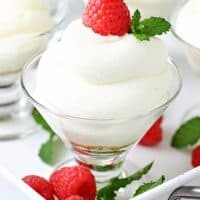 If you’re looking for an easy yet impressive Valentine’s Day dessert, look no further than this No-Bake Cheesecake Mousse. 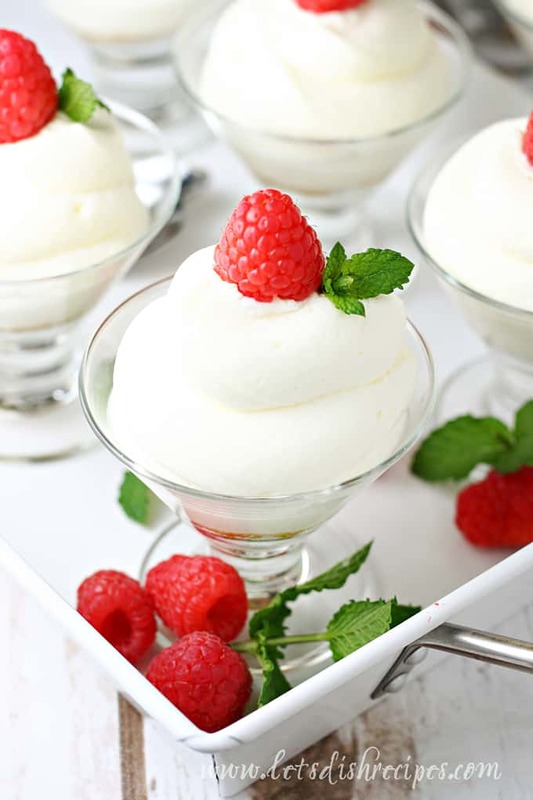 Really, this no-bake mousse is the perfect dessert any time of year. It’s so versatile because there are so many ways to top it off. I’ve made this recipe twice. Once for a birthday party and once for a family gathering. I layered it with graham cracker crumbs and it was a huge hit!! Strawberries or raspberries are great for Valentine’s Day, but hot fudge or caramel sauce with nuts would be equally delicious. Just think about your favorite flavors of cheesecake and the possibilities are endless. You could even add a graham cracker crumb crust mixture to the bottom of your serving dishes. I like to add the graham cracker crust if I want to get a few more servings from the recipe. Regular or chocolate cookie crumbs are both delicious! 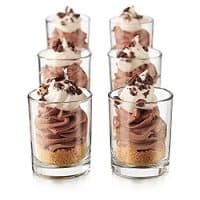 I used miniature dessert dishes for my mousse and got five servings, but that’s obviously going to vary depending on the size of your dishes. Four ounce Mason jars are another fun way to serve this dessert. 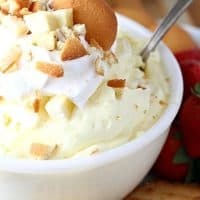 The mousse is rich and creamy, so it really is the kind of dessert where you don’t need a big bowl full. This mousse is also great for layered parfait style desserts, but it’s just as heavenly on it’s own, so don’t hesitate to serve it as is. 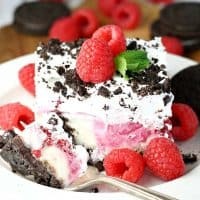 This is one of those easy but elegant looking desserts that makes people think you went to a lot of effort. 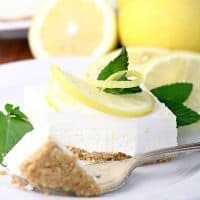 Know one has to know it only takes a few minutes to whip up this delicious, no-bake cheesecake! 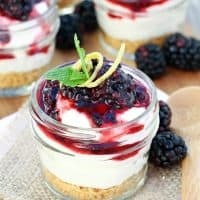 Be sure to save this No-Bake Cheesecake Mousse recipe to your favorite Pinterest board for later. 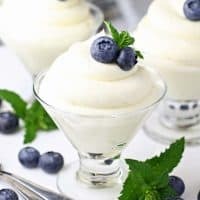 This light, creamy no-bake cheesecake mousse comes together in about 20 minutes and is the perfect dessert for any occasion. With an electric mixer on high speed, beat the cream cheese until smooth. Mix in the powdered sugar and vanilla until well incorporated. Set aside. In a separate bowl, beat the heavy cream with an electric mixer until soft peaks form. Add the corn syrup and continue beating until stiff peaks form. Fold half of the whipped cream into the cream cheese mixture. Repeat with the remaining whipped cream. Refrigerate until ready to serve. 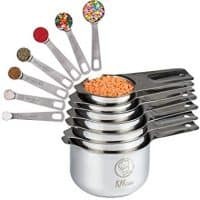 Pipe or spoon the mousse into individual serving dishes. 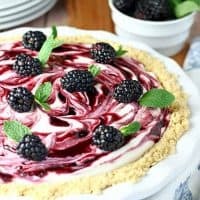 Top with fresh fruit or your favorite cheesecake toppings. This looks divine. I’ll have to try this soon! Thanks for the deliciously quick recipe! This is fantabulous! I did add a splash of lemon, but I love lemon! Will repeat! my event is on saturday today is thursday i wanna make these and im not sure how much in advance i can make them. please let me know when is it safe and does need refrigeration if i make them friday night? Yes, you could make them Friday night for Saturday, and yes, they would need refrigeration. OH GOSH! Why did you post this recipe?! I can’t stop making it!!! 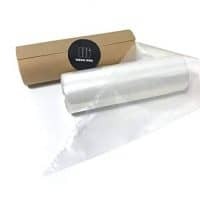 Could you make this even a few days (4 days) before the event, and keep it in a ziplock bag? Then pipe it the day of the event? I’ve never tried making it that far ahead, but it could definitely be made 1-2 days ahead. Quadrupled recipe and served in a gigantic martini glass serving dish with lots of toppings for a bridal party. Absolutely delicious and everyone loved it! Thanks for the recipe!! Do you think this would work as a filling for a two layer cake? Yes, I think it would be amazing! But you might only need half the recipe. 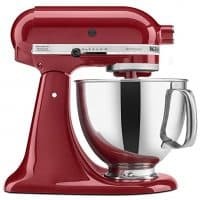 Does it have to be with an electric mixer? To get it really smooth, probably. But it can be a handheld electric mixer. Any way to make this without corn syrup. A family member has an allergy and this sounds so good, I’d love to make it. I’ve made this recipe twice. Once for a birthday party and once for a family gathering. I layered it with graham cracker crumbs and it was a huge hit!! Everyone loved it and I can’t get enough of it! It is so simple and easy to make, yet absolutely delicious! Thanks so much! Glad to hear everyone enjoyed it! 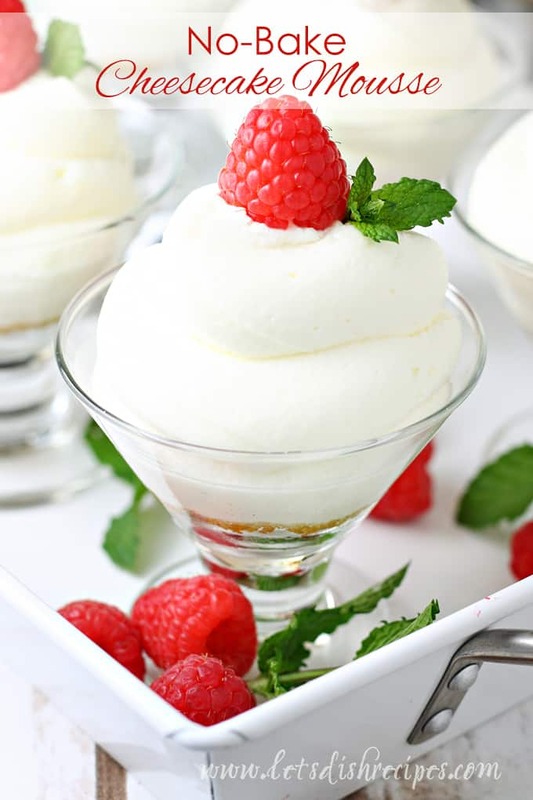 This is such a beautiful, no-fuss dessert! I want to play around with it for a holiday theme, maybe adding peppermint extract and crushed candy canes – yum! Thank you! I actually made this recently with peppermint extract and crushed candy canes on top. I won’t be posting the recipe until December, but I’m sure you can figure out that it’s basically the exact same but replacing the vanilla with peppermint.